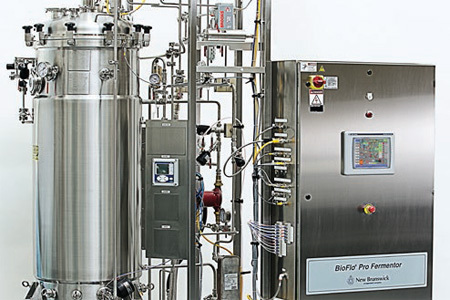 The Eppendorf line of New Brunswick BioFlo® Pro fermentors provides a unique solution to the need for flexibility in pilot through production-scale bioprocessing. The advanced, modular fermentation systems feature off-theshelf components to enable rapid delivery and dependability. These systems come with an industry-standard Allen Bradley® Programmable-Logic Controller (PLC) for reliable operation. 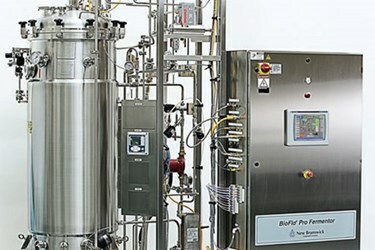 New Brunswick BioFlo Pro fermentors incorporate robust devices to minimize maintenance and downtime. Eppendorf also offers training and a wide range of services to minimize start-up time and to provide ongoing support.